Superannuation is designed to help you fund your retirement. Accordingly, there are specific rules and regulations put in place to stop us from using superannuation benefits inappropriately or accessing them too early. Understanding just when you're entitled to access your superannuation benefits can be confusing, however, generally speaking, access to your superannuation is typically granted on your retirement. 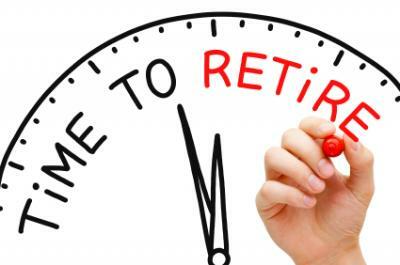 Commencing a 'Transition to Retirement' Pension after preservation age but before permanently retiring. Of these benefit payment standards - 'Termination of an employment arrangement after age 60'? is perhaps one of the lesser known and used conditions of release. The following scenarios look to explain this condition of release and provide context around when it may be a relevant option to consider for those nearing age 60, or who have reached age 60 and are looking to access some or all of their superannuation benefits. John turns age 60. He has met his preservation age, however is continuing to work. Is he eligible to access his superannuation benefits? No. Turning age 60, but continuing to work would not meet a condition of release for John and would not provide him access to his preserved superannuation benefits. However, if John has 'unrestricted non-preserved' benefits in his super fund then he could access these benefits at this time. After turning 60, John decides to reduce his working hours with his current employer to part-time. Is he eligible to access his superannuation benefits? Yes and No. In this circumstance John would only be shifting from full-time work to part-time work with his current employer. This would not be classified as 'retirement'. John would only be able to access his superannuation benefits at this time by commencing a Transition to Retirement (TTR) Pension. A TTR Pension would provide John limited access to his preserved superannuation benefits (in the form of an income stream) with a maximum pension payment of 10% of the total balance per annum. He would not be able to take the superannuation as a lump sum withdrawal. If John were to continue working whilst drawing an income from this superannuation pension, then access to his superannuation benefit would remain restricted until he retired, changed employment or turned age 65, whichever comes first. After turning 60, John finishes up with his employer and looks to start a new job with a new employer. Is he eligible to access his superannuation benefits? Yes. Under superannuation legislation, John would be considered to have retired if he ceases an employment arrangement. For a superannuation Trustee to be able to deem John to have 'retired'? they would need to be reasonably satisfied that he never again intends to be gainfully employed either on a full-time or part-time basis. Gainfully employed either on a full-time or part-time basis is defined as working no more than 10 hours per week. As long as it were John's intention to work no more than 10 hours per week in the future, then he could meet a retirement definition and would be granted access to his preserved superannuation benefits either as a lump sum or in the form of a pension. Prior to providing access to his superannuation, the trustees of John's super fund would require him to sign a declaration confirming that it is not his intention to be gainfully employed for more than 10 hours per week at any time in the future. After retiring and accessing his superannuation after age 60, John is offered a full time job with new employer. Can he take this job? What does it mean for his super? Yes. Although John signed a retirement declaration stating that he would never again return to work for more than 10 hours a week, this declaration relates only to his intention at the time he retired and signed it. Superannuation legislation recognises that personal and financial circumstances are subject to change and there may be instances that would require John to return to employment after retiring. At the time of commencing a new employment arrangement, John would be required to have employer SG contributions contributed to a nominated superannuation accumulation fund. The contributions invested in this account would not be accessible until a new condition of release is satisfied, such as John were to cease the new employment arrangement or upon reaching age 65. While this article has provided some examples around the condition of release when over 60 and changes to employment, there are other conditions of release to be aware of.